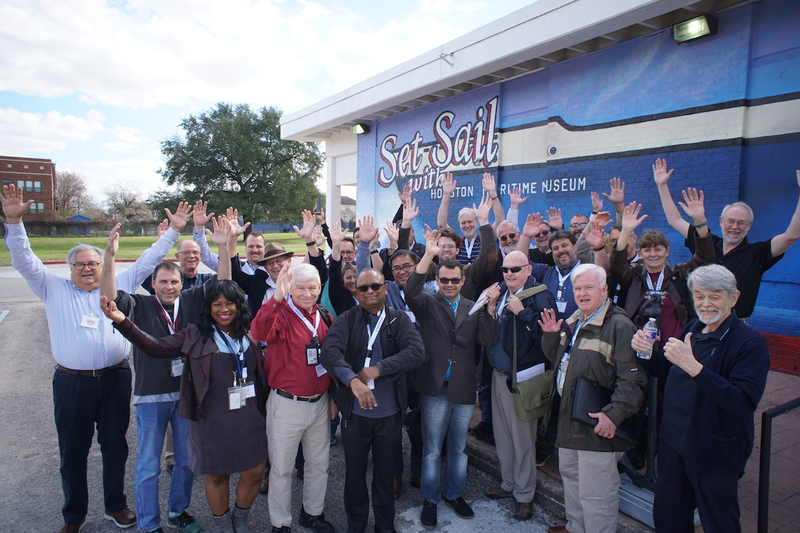 On the week of January 27, chaplains, ship visitors, center administrators, and others involved in maritime ministry from all over the world convened on the Houston International Seafarers’ Center (HISC) to take a NAMMA-led course on serving seafarers. Students of the Houston School this year were given many reasons to thank God: learning more about how to serve seafarers, worship that emphasized the unique spiritual aspects of maritime ministry, friendships made with colleagues from many different cultures and ministries, and the exceptional hospitality shown by the Houston maritime community. The week’s events were officially kicked off with a short prayer service in the HISC’s chapel, as was every day thereafter. Students read scripture passages especially pertinent to seafarers, took turns praying for maritime workers and different aspects of their lives, and heard short homilies about the work of ministry to them. Worship was intentionally ecumenical, welcoming and building up all the diverse kinds of Christian present. Hymns were sung for the most part a capella, and were a mix of familiar hymns like “Come Thou Fount of Every Blessing” and short prayers from the French Taizé community that were sung repeatedly and meditated upon. Many remarked on the beauty of the sound when the group sang together, due in part to the chapel’s acoustics and in part to the fullness with which the students joined their voices in worship. Many different regions were represented among the students, both from within NAMMA and without. On the North American side, students came from British Columbia, Ontario, Nova Scotia, California, Louisiana, Alabama, and Florida. On the South American side, students came from Panama, Brazil, and Argentina. A few students were from relatively nearby in Texas, while one attendee had travelled from relatively far away in the United Arab Emirates. There was also a great diversity of denominational affiliations – there were large contingents from the Catholic Apostleship of the Sea and the Anglican or Episcopalian Mission to Seafarers, and Reformed, Presbyterian, Baptist, and non-denominational churches were also represented. Greater even than the attendee’s diversity with respect to denomination and place was the attendee’s diversity with respect to experience. Everyone brought a different perspective on maritime ministry – there were several priests, a captain, a former coast guard officer, a former missionary, a seminarian, a bishop, and people experienced in business, charity, journalism, and politics. 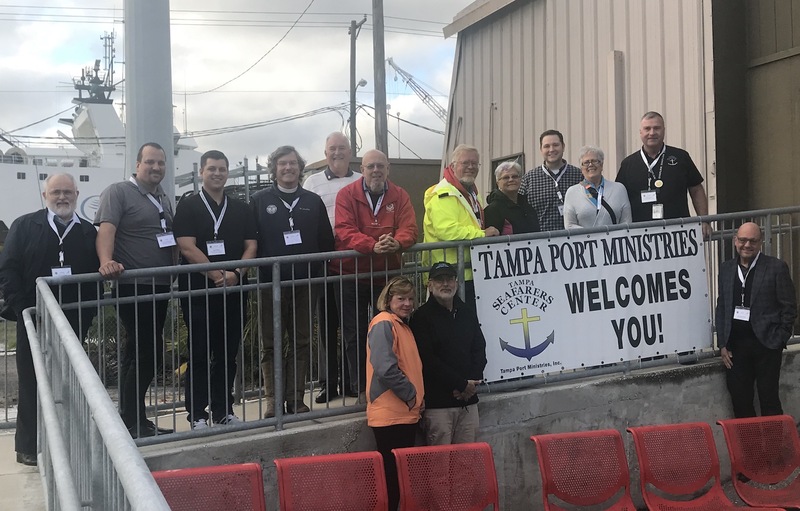 Some were board members in their local seafarers’ centers, some were one-person operations, others were experienced chaplains, and still others were just starting to work in maritime ministries (or working at starting new ones). These different expertises complemented each other nicely in group conversations. In a discussion of difficult pastoral situations, for example, the case of a stowaway’s accidental death aboard a ship was brought up. In addition to feeling for the bereaved and the crew, many of the students worried about the young captain and whether he would have been fired for such an unfortunate circumstance he could not have foreseen. The captain among the students was able to reassure them that things would have likely turned out alright for him. On several occasions, a business perspective helped students consider how they could best implement the lessons they were learning practically, and of course experienced clergy gave invaluable advice. Less experienced students enjoyed the opportunity to learn from their colleagues, but also contributed as sources of inspiration and reminders of the challenges that face ministries and chaplains as they begin their work. Course curriculum covered all of the major issues involved in ship visiting and running seafarers’ centers. Although classes were held over a week in Houston, students came into the classroom having already learned new things about ministry to seafarers through NAMMA’s online learning materials over the previous month. For the students’ first unit, they took the ship welfare visitor course to learn the basics of navigating ports, entering ships, and having valuable conversations with seafarers. In the following weeks, they got to know Jason over the internet through weekly video presentations on sea blindness, the shipping industry, and the preparation that make ministries successful. Students also got to learn a bit from each other from answers to content questions posed online. During the week in Houston, students were treated to many engaging and informative guest speakers. 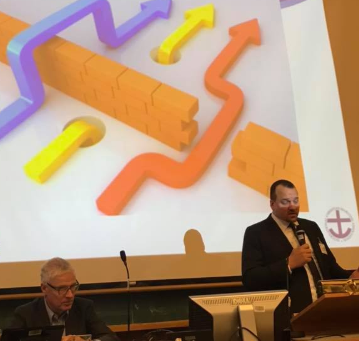 Many of the speakers were pastoral experts and veterans of maritime ministry, and students learned from them how to turn difficult ministry situations into growth opportunities, how to minister to seafarers over long distances, how to listen actively, and how best to run a ministry organizationally. Some other lessons were featured by experts in pertinent fields outside maritime ministry, including coast guard experts on smuggling, an excursion to the Seafarers’ International Union Hall to visit with SIU Gulf Coast VP Dean Corgey and ITF inspector Shwe Tun Aung, and a workshop on the Maritime Labour Convention 2006 from Douglas Stevenson of the Center for Seafarers’ Rights. Class time was not exclusively serious, either – learning was enlivened by role-playing chaplaincy situations, competition between small groups on questions of law, and not infrequent banter about rival sports teams. The students were very warmly welcomed and well-taken care of by the HISC, local churches, and other port institutions. Drives and suppers were provided by the HISC’s chaplains. Faith Presbyterian, Memorial Drive Presbyterian, the Norwegian Seamen’s Church, Mercy Ships, and St Alphonsus Catholic took turns providing rather lavish lunches, including delicious cultural fare and 28” pizzas. The recently relocated Houston Maritime Museum also opened on a Monday specifically to give the chaplaincy students tours, and the course ended with a ride on the Sam Houston Tour Boat. One of the most special gestures was the HISC’s inviting the students to its 50th-anniversary party on January 31, where they got to enjoy cake, learn the history of the center, and meet many of the people involved in it.